Debra K. Knauss, RN, LCDC, serves as the Chief Executive Officer of Touchstone Ranch Recovery Center. With over 30 years of experience in healthcare and behavioral healthcare, Debbie has an exceptional approach to a collaborative partnership with the entire treatment team in the best interest of each and every client. 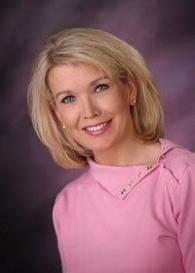 Debbie attended Kansas State University, Northern Oklahoma College and Houston Community College. She holds a degree in Applied Science. Debbie has a heartfelt passion for working with families affected by substance use disorder. Her mantra of “whatever it takes” transcends through her daily work with the staff, clients and families of Touchstone. She implemented a three-day experiential “Family Program” which is truly memorable and life changing. Debbie is an internationally recognized television guest and public speaker, taking the message of hope and healing to her audiences. As a preferred interventionist for The Dr. Phil Show, The Doctors, and Co-Star of Cracking Addiction; she has been able to bring awareness and elicit change within the recovery industry.